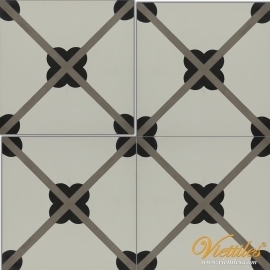 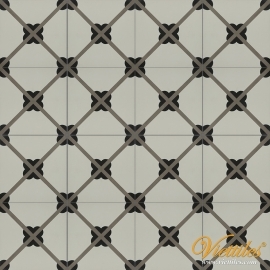 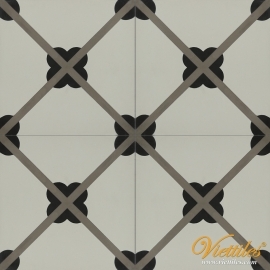 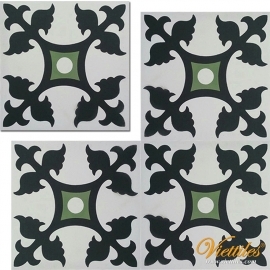 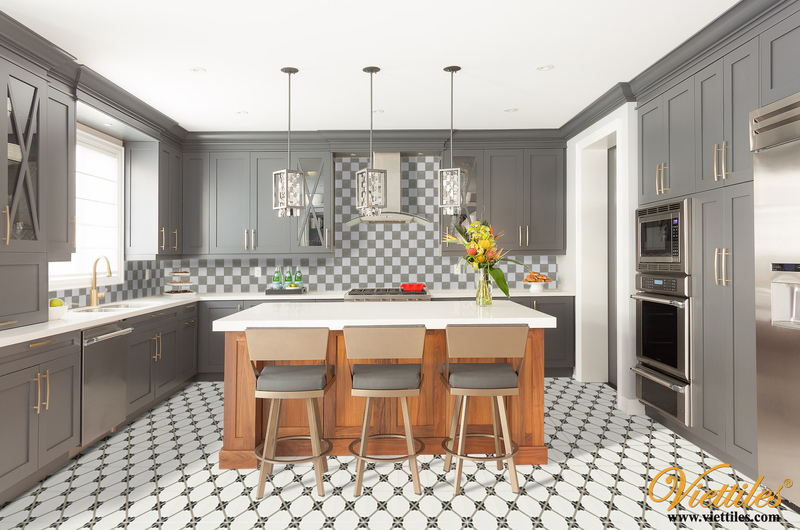 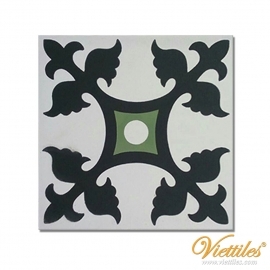 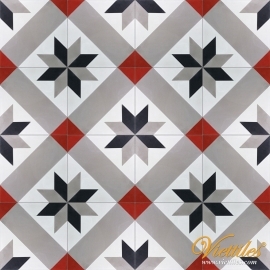 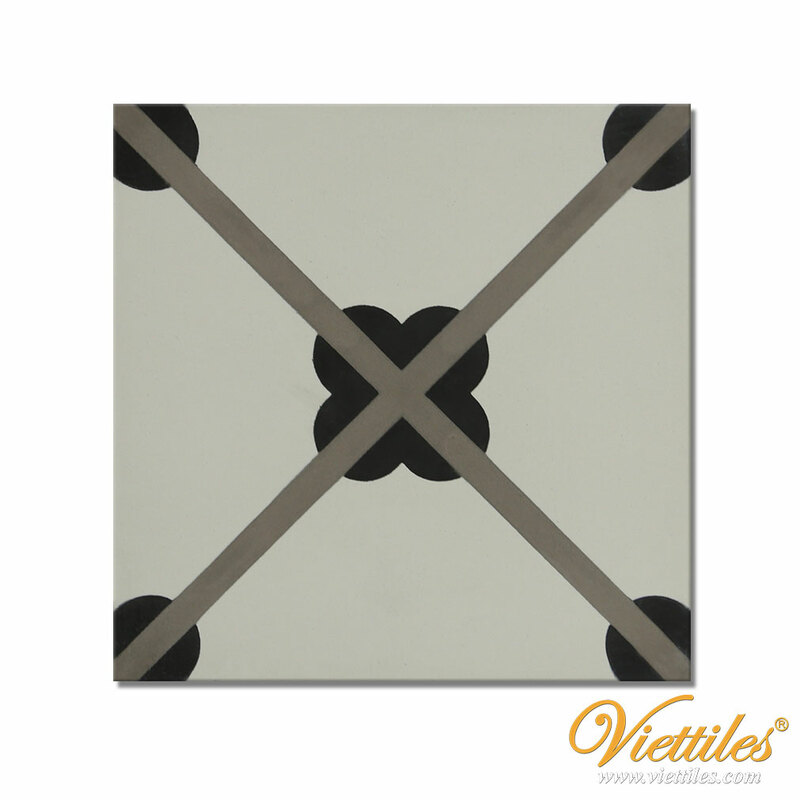 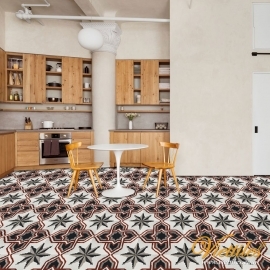 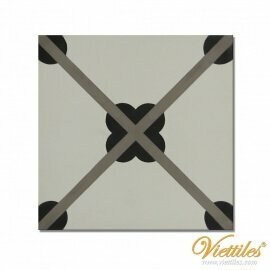 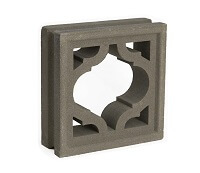 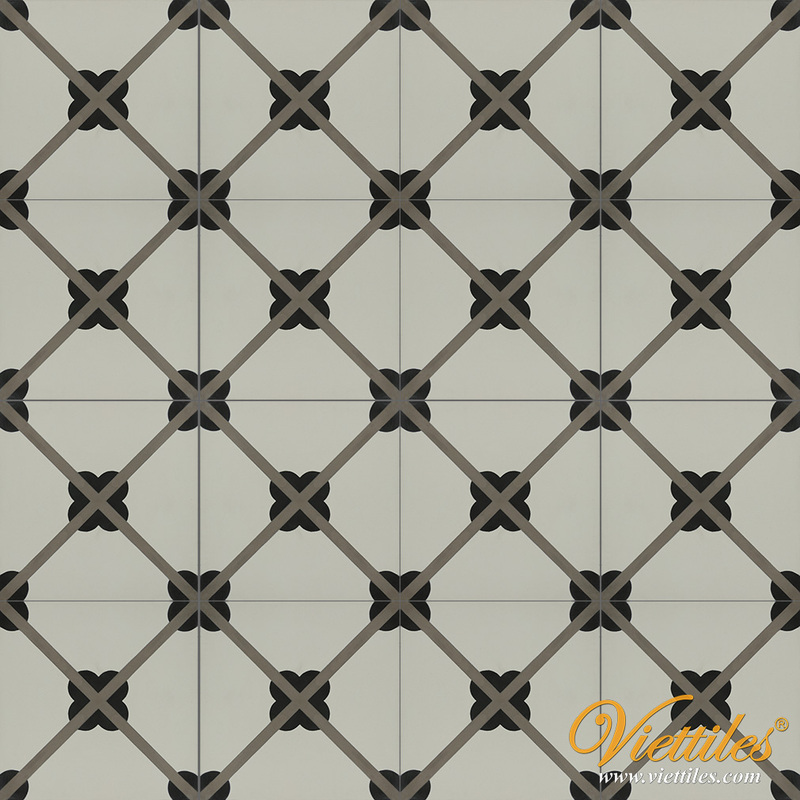 A classic design of cement tiles with floral pattern and basic color: black, white and grey. 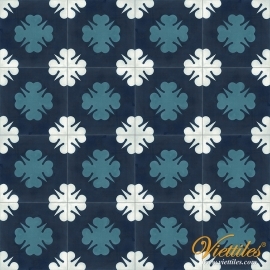 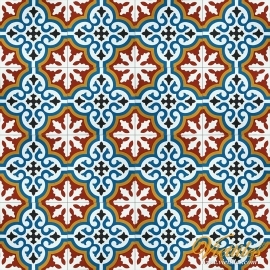 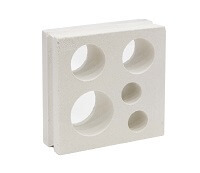 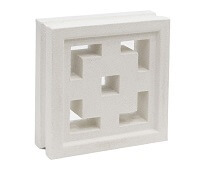 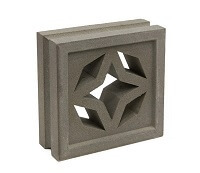 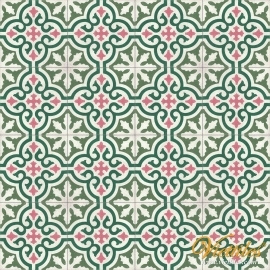 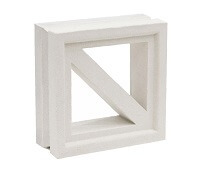 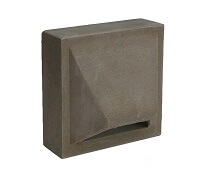 You can choose this design to decorate for your bathroom, bedroom, living room or kitchen. 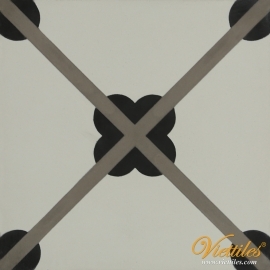 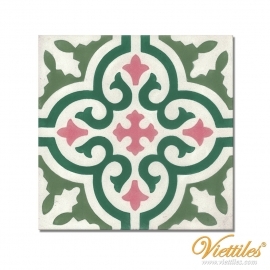 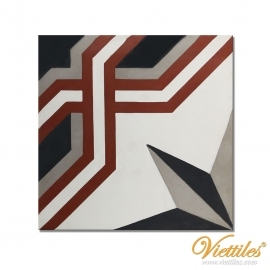 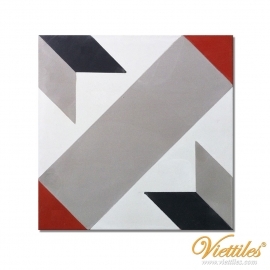 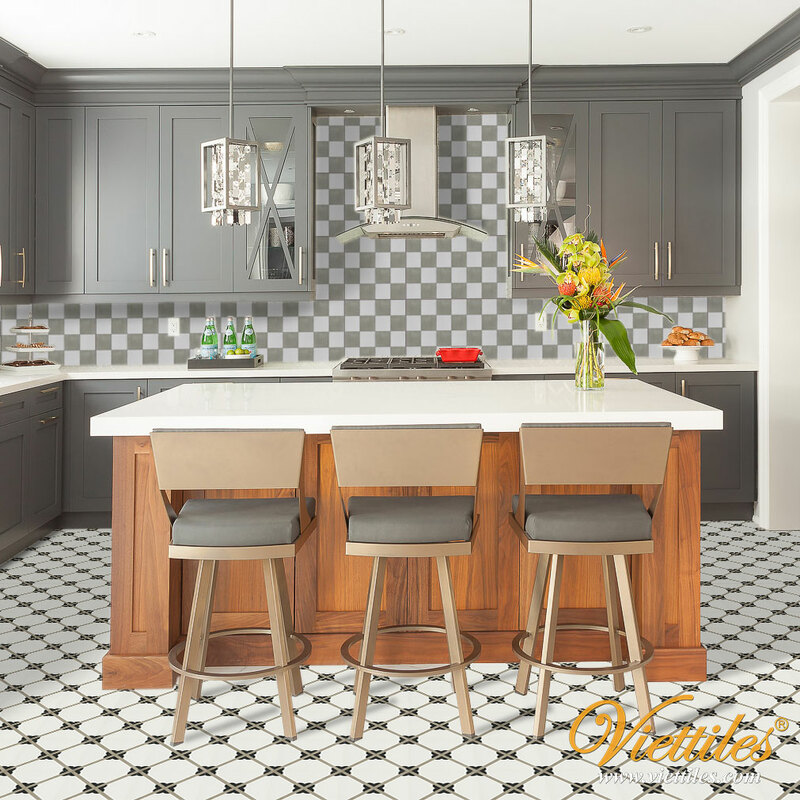 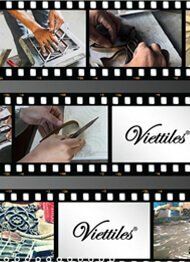 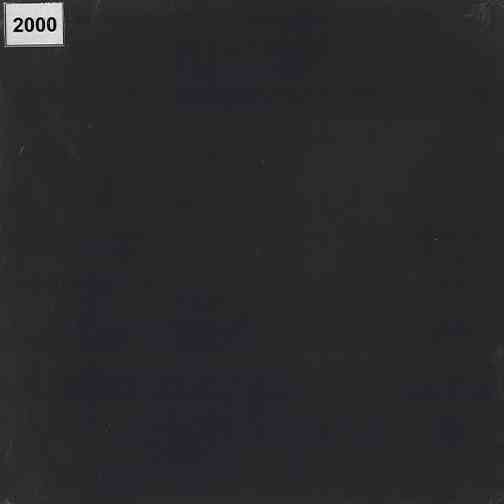  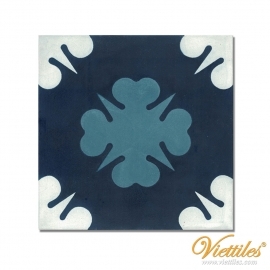 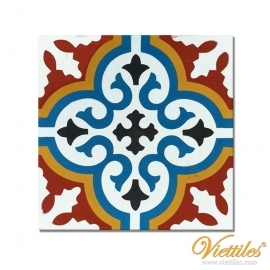 You can change to other colors with 104 standard colors from Viettiles- a reliable manufacturer of encaustic handmade cement tiles in Vietnam.